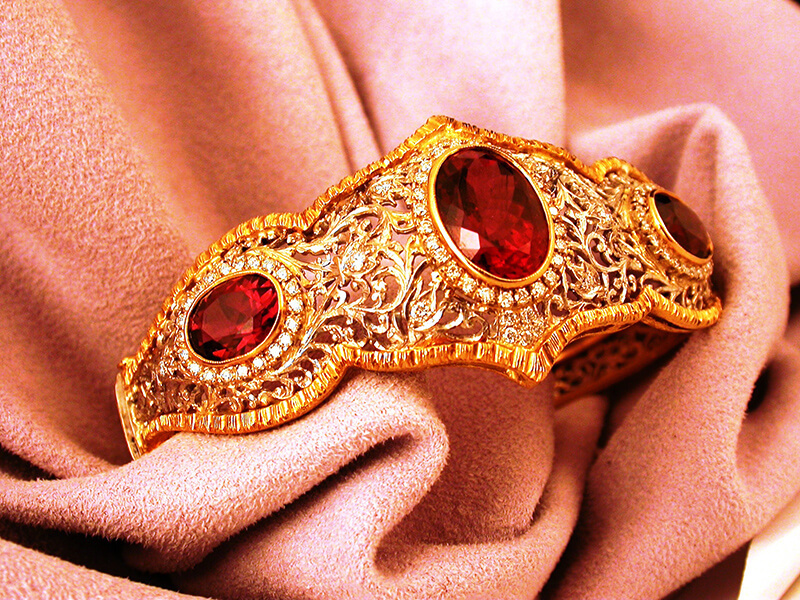 Bracelet in Florentine Style, “Primavera” by Botticelli. 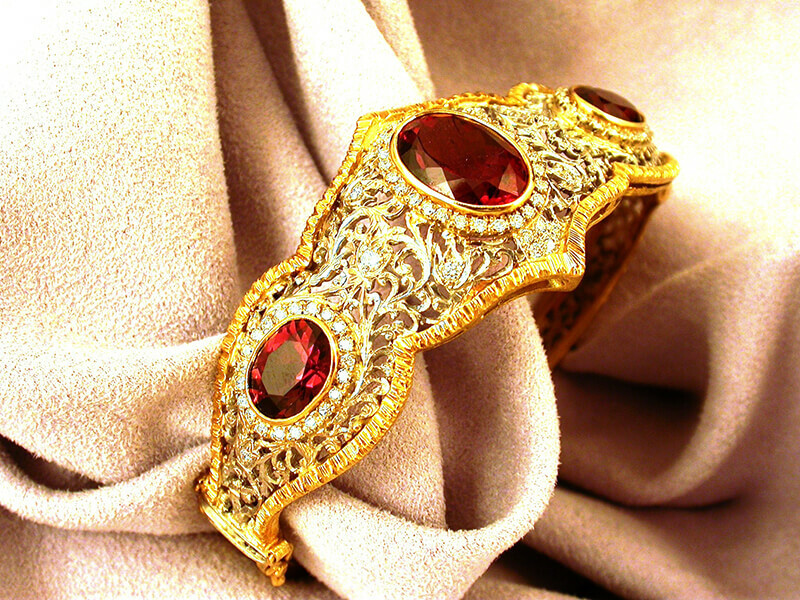 Bracelet in Florentine style in yellow and white gold 750%. Designed and made in the 60’s. 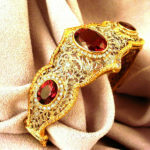 Bracelet in Florentine style in yellow and white gold 750%. 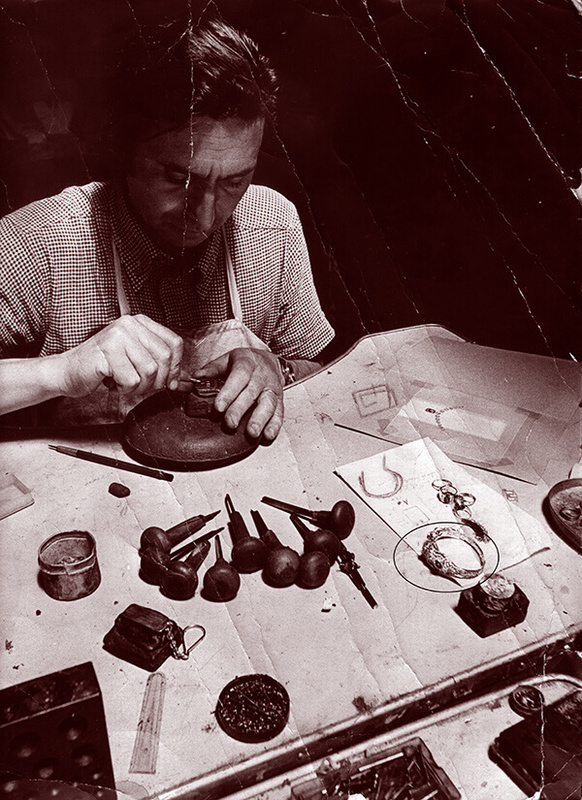 Designed and made in the 60’s, by the master goldsmith Franco Massai, in his company “Massai Orafi in Florence”. Under special commission of one of the most exclusive jewelry atelier in Ponte Vecchio. 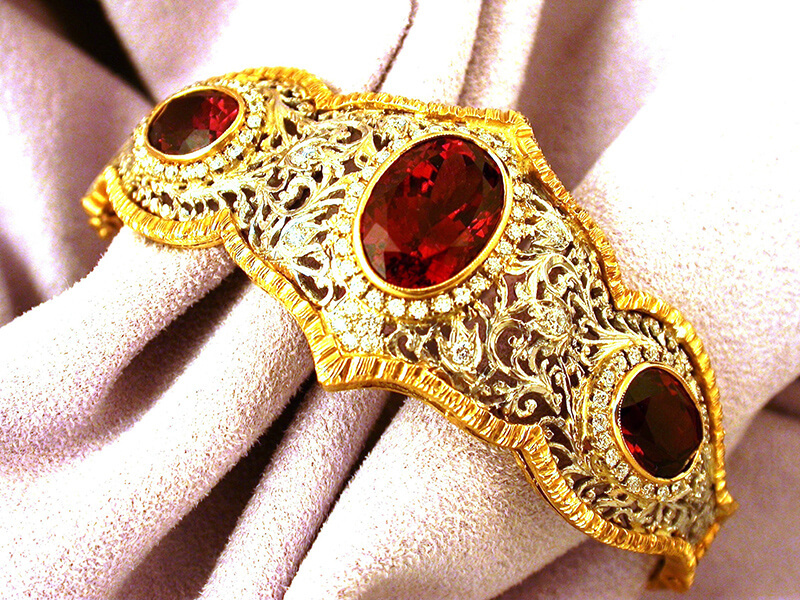 The design of the bracelet was inspired by the renaissance Art, period of pure splendor for Florence, in 1400. The craftsman trough this object is referencing on the most famous paintings in the world, situated in the Uffizi: the “Primavera” by Botticelli. 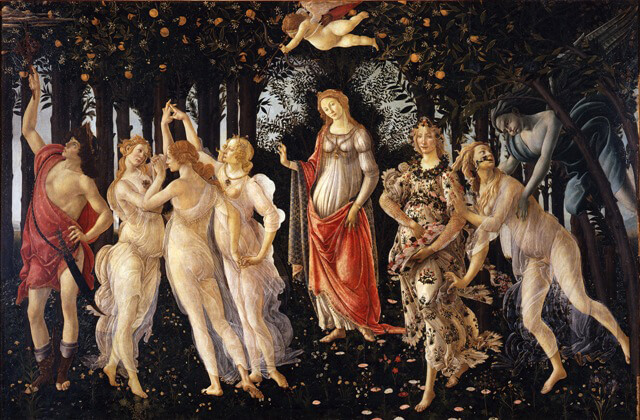 The goldsmith was struck by the elegance and the sinuosity with which the painter has captured the blooming flowers and trees. The red tourmalines, have been chosen inspired by Venus’s red drape, in the Primavera which captures the viewers eyes, in the center of the painting. The techniques used by the master were the “hand fretwork with headband”, and engraving “with gravers and burins. 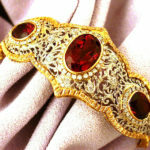 This types of techniques are labor intensive and require a high level of craftsmanship, the bracelet has taken 400 hours of work. Franco Massai has created this and many other jewel with a special attention to details which demonstrates the passion and respect for his job and the Florentine goldsmith’s tradition. 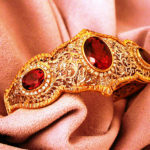 For the creation of this precious bracelet, the master started off with a free hand drawing on paper that then he copied free hand on a gold sheet using burins, engraving tools. 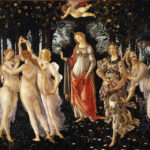 The fine work done on metal gives a light appearance and sense of transparency to the gold as if it was the red drape of the Venus in the Botticelli painting. In the end the final details are applied: a series of shining diamonds which elevate and highlight the beautiful design. 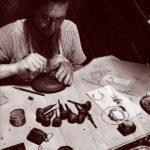 In the picture, we can see, the very young master Massai, while working, with the next original bracelet in the photo.